Movies you might have missed: "Sacco and Vanzetti"
Nicola Sacco and Bartolomeo Vanzetti were immigrants from Italy, revolutionary members of the working class, and activists against exploitation. In 1920’s USA, that was a combination that terrified the ruling class and could prove deadly to those who fought to change the social order. 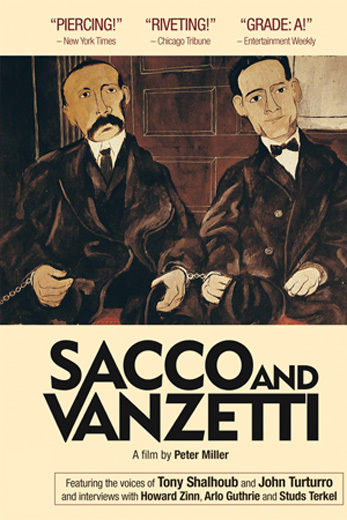 The 2006 documentary “Sacco and Vanzetti” is a well-made, engrossing documentary that does something remarkable. It makes compelling viewing out of the retelling of the prosecution of a murder trial from 87 years ago, of which we already know the outcome. 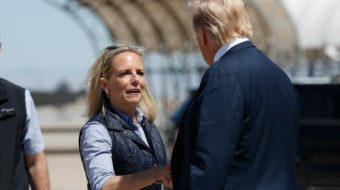 In the aftermath of a South Braintree, Massachusetts, payroll robbery that left two men dead a wave of round-ups occurred, targeting radicals in general and the recently active adherents of Italian anarchist Luigi Galleani in particular. Nicola Sacco and Bartolomeo Vanzetti were caught in this dragnet and having both been armed at the time of their arrest, made for good suspects in the unsolved payroll case. Soon they would be swept into the jaws of a justice system bent on quelling what they saw as a looming, violent rebellion of toilers. Add into this poisonous brew of paranoia and suspicion, a deadly dose of anti-immigrant bigotry and Sacco and Vanzetti were convicted before they ever entered the courtroom. No amount of eyewitnesses to the contrary, or even confessions from the criminals that pulled the job, could save them. The film is meticulous in its research, interviewing everyone from the daughter of one of the murder victims, to Arlo Guthrie (the son of Woody Guthrie) who plays the song his father wrote regarding the case. 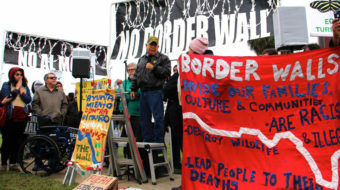 There are many wonderful scenes of the mass defense rallies organized by the CPUSA and shots of bold banner headlines, emblazoned across the front page of the People’s World’s predecessor, the Daily Worker, that cry out for justice in the case. The one sour note in the film occurs when one commentator dismisses the efforts of Communists as cynical manipulation of a tragedy. More proof that in the USA you have to include some anti-Communism, even in a film about Sacco and Vanzetti! A variety of labor historians and legal experts walk the viewer through the details of the case, the cultural and political atmosphere in New England at the time, as well as the personal lives of the defendants. Actors Tony Shalhoub and John Turturro are sparingly used to voice the letters of the two doomed men as they write to their families, to each other, and to the world, from their prison cells. The documentary includes some seldom seen moving footage of the two men as they enter and exit the courthouse. The deep impact this miscarriage of justice had on the collective psyche of the working class is evident when one witness chokes up as he recalls how, as a youngster, he was taken by his father to a Sacco and Vanzetti solidarity rally and he says how proud he is to say that he was there. What is also evident, however, is the still present heartbreak that despite the worldwide mobilization for justice it was not enough to save them from a state dictated to by the tentacles of finance-capital and determined to protect the ruling class from the forces hostile to it. This film is a fitting testament to the courage, the dignity, and ultimately the innocence of Sacco and Vanzetti.